This year marks the 100th anniversary of the AIGA. To celebrate, the AIGA asked 100 designers from across the US to select a year between 1914 and 2014 and design a social, political, or cultural statement about that year. To commemorate the anniversary and the 100 Years of Design project, MOO has produced all 100 designs as a limited edition commemorative collection of cards. The result is a visual essay acknowledging the historical and cultural events that have transpired across the century as seen through the eyes of AIGA Medalists, Fellows, and Presidents. Many of the contributors to this remarkable collection have also graced the pages of Design Observer. Here is Milton Glaser’s interview with Debbie Millman on Design Matters; Paula Scher wrote a post about a controversial New Yorker cover by Barry Blitt in 2008; Chris Pullman shared his thoughts about leaving WGBH after thirty-five years; there was Michael Bierut’s inventory of style, and Cheryl Heller’s one-minute insight on words. 100 Years of Design also includes the work of other award winning designers and Design Observer contributors, including Ellen Lupton, Abbott Miller, Stephen Doyle, Alexander Isley, Chip Kidd, Gail Anderson and Louise Sandhaus. Design Observer has partnered with the AIGA and MOO to giveaway five sets of this collection to its readers. 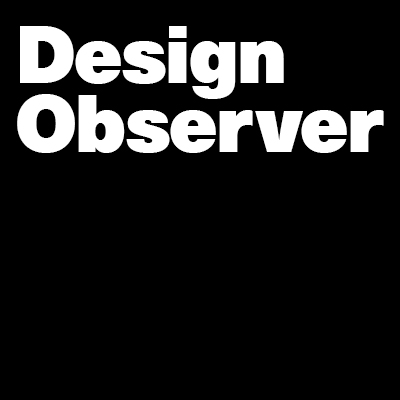 In order to win, simply share this post on Facebook and Twitter, or leave a comment about the articles or interviews that have influenced you on Design Observer. The winners will be randomly selected on December 31, 2014. Complete rules can be found here. This limited edition collection can be also purchased from MOO. INFRASTRUCTURE (that works) from Doyle Partners on Vimeo.